1. Why Keyword Research is Important? 2. What is the Best Keyword Research Tool? What is your current marketing goal? Is it to establish a presence on social media? Generate sales through Pay-Per-Click or PPC ads? How about improving your website’s search engine rankings? Guess what, none of those goals are possible without an effective keyword research strategy. In the online world, keywords act as a bridge that connects users with the content they need — be it a display advertisement, a “how-to” article, or a YouTube video. Does that mean you only have to target popular keywords if you want online success? The truth is, the most popular and profitable keywords in your niche probably aren’t viable to you. That’s why you need to learn how to find keywords by expanding broad, highly-competitive terms into long-tail keyword variations, which I’ve discussed thoroughly in this post. In a nutshell, a long-tail keyword contains three or more terms, making it more specific than broader head terms. As a result, they’re typically less competitive and easier to monetize for smaller brands. In addition to generating long-tail suggestions, most keyword finder tools also provide indispensable metrics that can help you handpick feasible target keywords for your brand. There are also bloggers who rely on keyword research to come up with blog post topics. After all, keyword research involves looking at the questions that users ask on the internet. If that won’t help you come up with content ideas for your blog, I don’t know what will. Despite their usefulness, not everyone is willing to shell out cash on a keyword research tool. With that in mind, I decided to split this post into two categories: free and paid keyword research tools. Buckle up and feel free to bookmark this post — it’s going to be lengthy. Ubersuggest is one of my all-time favorite keyword research tools, and it shouldn’t be hard to see why. After a few seconds, the tool should present you with an overview page with essential metrics, like the keyword’s average monthly search volume, SEO difficulty, and Cost-Per-Click or CPC. Now, for the actual long-tail keyword suggestions, use the menu on the left and click ‘Keyword Ideas.’ This should take you to a long list of keyword suggestions and related long-tail variations. In my experience, Ubersuggest can easily generate hundreds of useful long-tail keyword suggestions. Moreover, it will display the top 99 pages on the Search Engine Results Page or SERP for your seed keyword along with their estimated traffic share. Perhaps the most challenging aspect of keyword research is finding target keywords that match your needs. Ubersuggest solves this with the “push-button” filter tool that pulls up keywords that contain specific terms or are within a specific range in terms of search volume, paid or SEO difficulty, and CPC. What can I say? You don’t even need to create an account to use Ubersuggest. The interface is also fast and has an intuitive layout, making it easy even for beginners to complete their research in minutes. For a free tool, the amount of keyword suggestions you can get with Ubersuggest is impressive, but it’s nothing to go crazy about. Granted, Ubersuggest is capable of providing hundreds of keyword suggestions, but there are other tools capable of so much more. As far as metrics go, Ubersuggest makes sure you don’t miss any important data even though it’s a free tool. However, your keyword research data can only either be exported as a CSV file or copied to your clipboard. Since you can’t create an Ubersuggest account, there’s no way to sort your keywords into lists, perform additional analysis, or save any information on the cloud for later use. Although Ubersuggest’s filter feature is perfectly adequate for most bloggers, I’d be hard-pressed to consider it as a strong point. It simply doesn’t offer as much depth as the filter tools of other keyword research tools, including those included in this list. That’s right — the free pricing model isn’t actually my favorite aspect of Ubersuggest. Recently, they rolled out the “Traffic Analyzer” feature that allows you to check the target keywords of any domain. This allows you to discover the target keywords of your competitors or the keywords that bring traffic to your website. Despite all the features that Ubersuggest brings to the table, I’m disappointed that both its SEO and paid keyword difficulty ratings are, as of writing this post, inaccurate. If you’re looking for a free keyword generator, Ubersuggest is surely worth checking out. It’s one of the few free keyword research tools I’d personally use to fuel my content marketing campaigns. If you plan to use keyword research for content research, I recommend AnswerThePublic — a keyword research tool that consolidates “autocomplete” data from Google and Bing to visualize a “search cloud” and produce long-tail keyword suggestions. Just like Ubersuggest, AnswerThePublic doesn’t require you to create an account to perform keyword research. You just have to plug in a seed keyword and click ‘Get Questions’ to get going. The AnswerThePublic engine will generate search clouds that contain long-tail keyword ideas. Basically, a search cloud is a map of long-tail keyword ideas that contain certain terms, like “WH” question words, prepositions, and other conjunctions. In the example above, you can see that your target keyword is preceded by question words — namely who, why, where, when, which, will, what, can, are, and how. These reflect queries that users search for on Google or Bing. If you find it difficult to look for keywords using search cloud visualizations, try switching to the ‘Data’ tab. From there, you can convert each data card into their own search clouds by clicking ‘Image.’ Doing so will show you a clearer view of the long-tail keyword ideas. Also, take note that keywords with brighter green dots are more popular and tend to be more competitive than the rest. Usability-wise, AnswerThePublic passes with flying colors. It is a free tool that makes do without a cumbersome account creation process. More importantly, it only takes AnswerThePublic mere seconds to turn seed keywords into hundreds of keyword ideas. Don’t get me wrong: it’s nice that AnswerThePublic instills context to long-tail keywords and gives you a clear idea about the user intent. However, it usually yields fewer suggestions than other keyword research tools. While I’ll recommend AnswerThePublic for bloggers in need of topic ideas, it falls short in the reporting department. It’s true that you can download keywords as a CSV file with one click, but there’s absolutely no metrics to be found in the tool. As a word of advice, always use AnswerThePublic in combination with another keyword research tool for the sake of getting metrics. On the bright side, keyword suggestions from AnswerThePublic are already filtered from the get-go. You can find questions, comparisons, and other related queries — all neatly organized in their own search clouds. But then again, there are no metrics to use filters with. And for that particular reason, there’s no way I’m giving this tool a score higher than three. To be honest, the search cloud visualizations are the only reason why AnswerThePublic makes this list. You just enter a seed keyword, download the search cloud images, and you’re practically done. I guarantee that over 90 percent of the suggestions can be used as blog topics, which is what the tool is really designed for. The fact that AnswerThePublic doesn’t measure important keyword metrics is a huge deal-breaker for me. To be fair, AnswerThePublic was intended by developers to help generate web content ideas. I just think the tool will be much better in doing its job if it also tracks metrics, like monthly search volumes, keyword competitiveness, and so on. AnswerThePublic may lack reporting features that every keyword research tool should have. Still, its effectiveness in content idea generation is a must-have in every busy blogger’s workflow. Before you came here, I’m willing to bet you’re already familiar with Google AdWords Keyword Planner. Although it’s not a standalone solution, Keyword Planner is a trusted keyword research tool in the industry. Of course, being a Google product helps amass a large user base. But what marketers really like about it is the sheer number of long-tail keyword suggestions you can obtain — 100% free. There are two ways to use Keyword Planner: finding new keyword opportunities and viewing search volume plus other metrics for your current keywords. To use Keyword Planner for keyword research, go ahead and select ‘Find new keywords,’ You will then be prompted to enter seed keywords or the URL of any relevant page. It shouldn’t take long for Keyword Planner to find hundreds of keyword ideas at your disposal, including important metrics like average monthly searches, competitiveness rating, and average CPC bids. With such a large list, you’ll need a handy grouping or filtering feature in place to find potential keywords from the bunch. Luckily, both features are well-implemented in Keyword Planner. On the left menu, navigate to ‘Grouped ideas’ to sort your keywords according to certain themes. For instance, Keyword Planner organizes the suggestions for “build a blog” into groups like “Making Sites,” “New Blog,” “Successful Blog,” and “Best Way” — common content angles for the keyword. You may also use Keyword Planner’s range of filter options to find the exact keywords you need. This can be done on either the “Keyword ideas” or “Grouped ideas” page. If you plan to use keywords for a PPC campaign, the next step is to select the keywords you want to target and click ‘Add Keywords’ on the blue menu that appears. Just be sure to select “Add to plan” from the first drop-down menu for a forecast on how well it could perform. This will add the selected keywords to the “Forecasts” page, which can be accessed by going to the ‘Keywords’ tab. Keyword Planner will leverage historical data to project the results of your would-be PPC campaign using your keywords. Speaking of Google keyword research tools, you can also use the Search Console to view keywords your site is already ranking for. Remember, SEO can take a painfully long time before it can produce profitable results. By targeting keywords you’re already ranking for, it should be easier for you to snag any of the top three spots where most of the traffic go to. You can view these keywords on Google Search Console by navigating to the ‘Performance’ page and scrolling down to the “Queries” list. Look — everybody loves the AdWords Keyword Planner. But before you can use the tool, you need to set up an AdWords account. The Keyword Planner interface also isn’t exactly among the user-friendliest. Still, beginners should have no problem getting what they need from the tool. Keyword Planner is more than capable of providing you with truckloads of keyword ideas for SEO or PPC. The tool’s ability to automatically group similar keywords is also a nice touch. Want to know the most feature other keyword research tools are touting? However, if you plan to run a PPC campaign, then Keyword Planner’s forecasting tool is indeed a silver lining. If you’re looking for a keyword research tool with the most elaborate filtering feature, Keyword Planner definitely comes close. You can sort keywords according to competitiveness, search traffic, organic impressions share, and more. Keyword Planner is also one of the few tools that can weed out “adult keywords” right off the bat. Before you launch a PPC campaign, you should always look at Keyword Planner’s forecasts. That’s how important this feature is — in my opinion. If you need to look for target keywords you can realistically compete in, you need a lot more than just “low,” “medium,” or “high” competitiveness ratings. Keyword Planner’s absurd search volume ranges also offer very little value to bloggers who need to balance keyword competitiveness and profitability. Even though I use an assortment of keyword research tools for various projects, I still come back to Keyword Planner every time for Google suggestions, especially if I need forecasts for PPC keywords. The Search Console also helps me find keyword ranking opportunities that I’m more likely to succeed with. Another well-known tool in the keyword research space is KeywordTool.io. At first look, it may resemble the vast majority keyword research tools in the market — until you notice that you can also use it to find keywords for YouTube, Amazon, Play Store, and other websites by switching to a different tab. KeywordTool.io can help you find long-tail keyword ideas by scraping Google Autocomplete suggestions — identical to how AnswerThePublic works. The main difference is, instead of visualizing keyword results into search clouds, KeywordTool.io presents them using the traditional, list view. You can also sieve out results that are either questions or have prepositions. This is always an excellent way to diversify your keyword pool, find more ranking opportunities, and whip up some more content ideas. Switching to any of the tabs above the search bar also creates new keyword lists for that particular site. For example, if you click ‘YouTube,’ KeywordTool.io will immediately refresh the results page with keywords that are used for video searches on said platform. What’s that — you’re looking for metrics? KeywordTool.io has them, namely each keyword’s average search volume, CPC, competitiveness rating, and traffic trend over the past 12 months. The catch is, these are all locked away behind a paywall that requires a minimum of $89 per month. I don’t have any complaints with KeywordTool.io’s web interface. It’s actually really responsive compared to other, more heavy-duty keyword research tools. The only reason why I didn’t give it a perfect score is the overpromotion of their “Pro” plan — understandable, but they really don’t need to show users three reminders on the keyword results page. Compared to other keyword research tools, the number of keywords you can get with KeywordTool.io doesn’t really stand out. But what it lacks in volume, it makes up for in variety. KeywordTool.io deserves a pat on the back for being able to find suitable keywords for YouTube, Instagram, Google Play Store, Twitter, eBay, Amazon, and Bing. Don’t get me wrong — I think KeywordTool.io Pro measures a decent set of metrics. Unfortunately, it’s not hard to find alternatives with way more features at that price point. KeywordTool.io lets you include or exclude keywords that contain specific terms. You can also sort keywords in an ascending or descending order — that’s about it. The vast majority of SEO campaigns may focus on Google, but that doesn’t mean other search engines and web services are completely neglected. KeywordToo.io can supply you with the keywords you need to gain a foothold in these markets. It would be unfair to consider KeywordTool.io’s paywall as a negative aspect since we’ll also talk about paid tools later. Regardless, that doesn’t make it acceptable to present users with three ads on one page. KeywordTool.io may fit the bill if you’re looking a free keyword research tool. But in order to make the most out of it, you have to pay for the paid “Pro” version. Being able to perform keyword research for free can be tempting for new bloggers. But, in turn, you’ll miss out on the benefits of purchasing premium solutions. First and foremost, SEMrush is not positioned solely for keyword research. Rather, it’s a full-blown SEO and digital marketing analytics platform that happens to have a pretty powerful keyword research tool baked in. To use it, log in to your SEMrush account and select ‘Keyword Magic Tool’under the “Keyword Analytics” sub-menu or simply click here. This brings up the familiar keyword research interface where you enter a seed keyword and get things going. Just give the Keyword Magic Tool a couple of seconds to bring in long-tail suggestions. It shouldn’t take long before you see hundreds of keyword results and a complete set of valuable metrics. As expected from a premium tool, the Keyword Magic Tool features advanced filter options that allow you to zero in on the keywords you need. You can also comb through the results to find broad matches, exact matches, phrase matches, and related keywords in a snap. If filters don’t do the job of helping you choose the right target keywords, you can use SEMrush’s “Keyword Difficulty” tool to make side-by-side comparisons. Just click ‘Keyword Difficulty’ under “Keyword Analytics” and enter the keywords you want to compare. Upon clicking ‘Show Difficulty,’ SEMrush should display a table with each keyword’s difficulty rating, average search volume, and any features implemented in SERPs — from featured videos to site links. Despite being housed in a comprehensive SEO and marketing analytics platform, the keyword research features of SEMrush are easy to learn and use. The features aren’t as clear-cut as other tools, but anyone should pick them up after a few minutes of use. For me, the Keyword Magic Tool has consistently raked in tons of keyword suggestions whenever I use it. There may be times when other tools offered more suggestions, but SEMrush is never far behind. SEMrush lives up to its title as a marketing analytics platform with the sheer amount of keyword data you can get. The Keyword Difficulty tool also gives conclusive insights on which long-tail keyword variations should be targeted. When it comes to keyword filters, SEMrush is on par with the AdWords Keyword Planner. Apart from the standard options like search volume, keyword difficulty, and CPC, both tools also let you filter results based on match types. The Keyword Difficulty tool lets you pit potential target keywords against each other so you can decide which is more profitable — enough said. Instead of paying for a SEMrush subscription, I wish there’s a way to purchase its keyword analytics toolkit separately. But at the end of the day, SEMrush is built as an all-in-one solution for website owners with big needs. If you can afford SEMrush and have a use for the rest of its analytics features, go for it. The only reason to hold off on your purchase is if you only need a simple keyword research tool — not a fully-equipped SEO or marketing analytics platform. You can learn more about SEMrush by reading my full review here. If you see me talk about SEMrush, don’t be surprised if I eventually bring up Ahrefs. These platforms are often compared in software reviews — thanks to their identical set of features. Before we look at its keyword research functionalities, it’s worth noting that the Ahrefs “Keywords Explorer” recently received a makeover. It can now scrape keyword suggestions for YouTube, Amazon, Yandex, and a handful of foreign search engines. As for the results, Keywords Explorer implements a card-based approach. This makes every bit of information more presentable, readable, and easy to find. The keyword suggestions are also sorted into four categories: “Having same terms,” “Questions,” “Also rank for,” and “Newly discovered” — all of which are rather self-explanatory. Scrolling further down, you’ll find SERP data for the seed keyword you entered. You can refer to the position history chart to determine how pages rank over time or look at the SERP overview to have an idea of what it takes to compete. Going back to the keyword suggestions, clicking ‘View all’ below each keyword list to view metrics and access your filter options. You may also select keywords one by one to update, export, copy, or add them to a list. The user experience on the Ahrefs Keywords Explorer is slightly better than on SEMrush’s Keyword Magic Tool. It simply has a more organized layout, which, in turn, makes keyword data more readable. If you were paying attention to the screenshots, you’ll notice that Ahrefs yielded more keyword suggestions than SEMrush or any of the aforementioned tools — not to mention that Keywords Explorer also generates keyword ideas for a bunch of search engines apart from Google. Why am I giving Ahrefs a lower score than SEMrush for the reporting aspect? Three words: Keyword Difficulty tool. Ahrefs has all the keyword filter options you’ll ever need for research. It can also filter keywords according to “Return Rate,” which measures the likelihood of users to search for the same keyword within a 30-day period. Maybe you run a multilingual website or target users who prefer a different, non-English search engine. In any case, Ahrefs can help you find keywords for those services, unlike most keyword research tools that are locked to Google. But since it’s probably a non-issue for most English-speaking bloggers, I think it’s only worth three points out of five. You probably saw this coming. It’s the same story with SEMrush’s keyword research features. If you want to use Keywords Explorer, you’ll have to cough up the money for a monthly Ahrefs subscription. Ahrefs is closer to SEMrush than any other tool — not just for keyword research, but for everything else as well. I recommend signing up for the free trials of both SEMrush and Ahrefs to decide for yourself. We now have two heavy-hitters on this list — namely SEMrush and Ahrefs. Let’s dial it down a bit and go for a lean, straightforward keyword research tool. KWFinder may resemble the Ubersuggest start page. The main difference is that, with KWFinder, you can also search for question-based phrases as well as Google Autocomplete suggestions. I only had to use KWFinder once to realize that it’s basically Ubersuggest on steroids. Not only are there more keyword data loaded on one page, the metrics themselves are also more accurate. KWFinder also enables the creation of keyword lists — a much-needed feature that a free tool like Ubersuggest can’t and doesn’t provide. To use lists, tick the checkboxes to the left of the desired keywords and click ‘Add to list.’ You’ll be asked to create a new list if you haven’t made one yet. KWFinder is as to-the-point as you can get with keyword research tools. All the information you need — from keyword suggestions to your lists — are always within two clicks away. For search engine keywords, KWFinder’s results are comparable to that of Ubersuggest, but it’s a tad more extensive. It may not give you the most keyword suggestion, but its ability to find questions and Autocomplete suggestions have earned it extra points. As a paid keyword research software, you’d expect KWFinder’s reporting features to be significantly better than a free tool like Ubersuggest. Sadly, that isn’t the case. Search volumes, average CPC, keyword difficulty, CSV reports — all of these elements are already obtainable via Ubersuggest. KWFinder does deserve credit for allowing you to save keyword lists and view your account’s keyword search history. First, KWFinder lets you find keywords within a certain word count range, Ubersuggest does not. Second, KWFinder lets you hide keywords that are already on your lists, Ubersuggest does not. And third, KWFinder charges you a minimum of $29 per month to access these filters, whereas Ubersuggest remains free. I like to look at my keywords as long-term investments. Before I build content around them, I want to ascertain that they’ll remain relevant over time. And that is why I think KWFinder’s “Interest Over Time” tracker makes it worthy of your purchase. You can see more of KWFinder in action by reading this post. For some reason, the KWFinder developers decided to limit the number of related keyword suggestions their entry-level users can get to only 200. That’s why I advise against buying their “Basic” plan and spend the extra $10 for up to 700 keyword suggestions. If you’re willing to spend money on a more reliable and robust version of Ubersuggest, then KWFinder is indeed worth picking up. I know my readers — a lot of you already make money and would like to continue growing your blog. That said, I’ll present you with another platform that does a lot more than just keyword research. Serpstat is a flexible marketing platform that can help you with keyword research, content marketing, SEO, and PPC. From the homepage, you only need a keyword, domain, or page URL to fire up the tool. If you entered a keyword, Serpstat will show you the usual — the keyword’s average search volume, a competitiveness score, the projected keyword difficulty rating, and a list of long-tail keyword variations for both SEO and PPC. But where’s the fun exploring features that are fairly similar to what we’ve covered so far? Suppose you have a competitor whom you’re struggling to outperform in search rankings. Wouldn’t it be great if you can skip the number-crunching and just look at the keywords that work for them? Just enter your competitor’s domain address or their top post’s URL and you’re golden. You can also do this with Ahrefs, SEMrush, and the majority of marketing and SEO analytics platforms out there. If that’s not enough, you can also go to ‘Search Questions’ under the “Keyword Research” sub-menu, enter a keyword, and find search user questions that can fuel your content strategy. I’d also like to point out that Serpstat’s keyword filters are quite remarkable. Aside from filtering keywords based using search volume, CPC, word count, and so on, you can also combine multiple filters for a more refined set of keywords. For example, if you want to find keywords that have a search volume of 1,000 to 5,000, but don’t want to leave out misspelled keywords, you need to combine two filters with ‘Or’ connector. I rarely recommend tools that are hard for my readers to learn and use. Serpstat is no exception. The interface is clean, well-laid-out, and runs like butter. Serpstat doesn’t offer as many long-tail keyword ideas as Ahrefs, but it’s commendable that they segregated keywords for organic and paid campaigns. From a keyword research perspective, Serpstat’s reporting capabilities are undoubtedly among the best. Sure, it doesn’t have the Keyword Difficulty tool that SEMrush has, it does have unique reporting features. For example, Serpstat can give you a list of your competitors for your seed keyword in PPC advertising. You can even get a preview of their ads — a great way to get your feet wet in PPC if you haven’t tried it before. Not a lot of keyword research tools can utilize compound filters like Serpstat. And for that, it deserves a perfect score. I may sound like a broken record, but Serpstat’s filters are clearly on a league of their own. It’s not exactly a game changer, but it’s still a huge time-saver for keyword research. If you think KWFinder’s 200-keyword limit for the base subscription plan is too much, you should know that Serpstat caps all reports — not just keyword research — to only 100 results for the cheapest plan. The next pricing option, which gets a huge increase of up to 15,000 results per report, costs $50 more. Let’s face it — the only problem with Serpstat is the base version’s limitations. On the other hand, it can potentially give you more keyword results for less compared to Ahrefs and SEMrush, which generates only up to 10,000 results per report for $99 and $99.95, respectively. Now that we’re comparing tools that unveil competitor keywords, it might be a good time to introduce SpyFu — an analytics tool engineered to help you spy on your competitors. Unlike most tools that work by expanding seed keywords, SpyFu focuses on helping you grab the target keywords of your competitors. As such, the tool can only be used by entering the domain of your top competitor. You can also use their brand name and let SpyFu automatically determine their address. However, the report you’ll get will be centered on their domain’s AdWords and SEO performance. If you chose to enter a domain, as you should, SpyFu will grant you a bird’s-eye view of your competitor’s keyword strategy. Some of the data you’ll find include the distribution of their traffic between organic and paid channels, the number of organic keywords they have, and an estimate of their monthly organic clicks. In the example below, we can conclude that our friends at Grammarly heavily prioritize SEO and content marketing over PPC. SpyFu also hauls in a couple of unique reports on the overview page. I find the “Competitor Shared Keywords” report to be intriguing, as it shows diagrams that lets you discover the shared organic and paid keywords between two to three competitors. Digging deeper, you can spy on your competitor’s target keywords in both paid and organic listings under the “Top Keywords” section. This is where you’ll come across SpyFu’s weak point — the filters. For competitor keywords, you may only sort the results based on factors like the competitor’s rank losses, page one positions, and rank gains for the keywords. Also, you can create a filter that only includes keywords with a specific term. For related keywords, you get a mish-mash of filter options that only make the page look cluttered, which is weird since they do let users specify custom ranges — they should’ve just displayed those and got it over with. SpyFu is not the easiest tool to use, but it certainly won’t take you hours to figure everything out. Just be mindful that they implement a “traditional” interface where menus are found at the very top of the page. Whenever you want to go to another page, you have to scroll all the way up, making the overall experience slightly slower. For SpyFu, it’s not just about the number of keywords you get — it’s also about the quality and effectiveness of those keywords in SEO or PPC. Naturally, the volume of keyword suggestions you get depends on the website you’re trying to investigate. If you try to check out the keywords of a big-name brand, I guarantee that SpyFu can step up to the plate and give you tens of thousands of keywords if needed. SpyFu’s overview page alone is crammed with keyword data and insights that would otherwise be invisible using other tools. 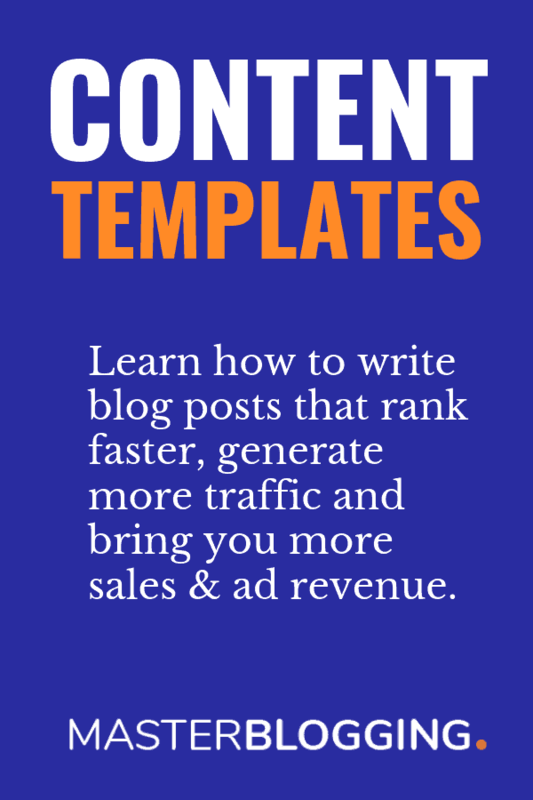 You could even find keywords that multiple competitors are targeting or generate white label reports — just in case your blog is run by a team. While SpyFu is incredible in terms of usability, keyword suggestions, and reports, I really hope their filters were better. The thing about SpyFu is that it doesn’t want to be stuck spending hours in keyword research. Instead, it encourages you to spy on your competitors and leverage the keywords that already work for them. On the overview page, there are actually four categories you can use to harvest these keywords: newly ranked keywords, page one keywords, “almost there” keywords, and most valuable keywords. Although the SpyFu team tracks millions of keywords, the tool sometimes yields zero paid search keywords in some sites. This may be because they don’t have an active PPC campaign, they only target a local audience, or they only use “unique keywords” that no other brand would optimize for. SpyFu also won’t be able to track PPC keywords if your competitor only started advertising in less than a month. If you’ve been trying to surpass a close competitor in SERPs, SpyFu can help you formulate a strategy using their own SEO keywords. SpyFu can also give you visibility over a competitor’s backlink profile and AdWords tactics — not really the features you’d look for in a keyword research tool, but they’re still advantageous, nonetheless. Finally, let me wrap up this post with another lightweight tool called Keyword Revealer. Average monthly searches, CPC, competitiveness — all the metrics you care about regarding keywords are there. Keyword Revealer even chips in an estimate of your monthly profits for each keyword should you use them in your PPC campaign. Keyword Revealer’s filters aren’t too shabby, either. They’re not outstanding by any means, but they should be enough to help you find the keywords you need. Things get a bit more interesting once you try out Keyword Revealer’s “brainstorming” tool. Remember AnswerThePublic’s search clouds? Well, that perfectly sums up what the brainstorming tool does. Keyword Revealer does an excellent job of keeping keyword research simple. You launch the tool, put in a seed keyword, extract long-tail variations, and export the results. Let’s get one thing straight: you won’t get heaps of keywords with Keyword Revealer. It does, however, allow for unlimited keyword results even with the cheapest plan. You don’t need to be a marketing expert to understand that Keyword Revealer’s “profit” metric won’t actually reflect the income you’ll get using a keyword for PPC. Nevertheless, the developers have earned a high score for implementing something unique. As I said, Keyword Revealer’s filters are nothing special. They get the job done, but functionality-wise, they equal the filter options of free tools like Ubersuggest. Keyword Revealer is may be one of the most affordable keyword research tools to date. You get unlimited keyword ideas for only $7.50 per month. If that doesn’t get my cost-conscious readers excited, I don’t know what will. As a paid tool, I expected Keyword Revealer to be capable of some domain analysis, which is a feature that even free tools like Ubersuggest have. I won’t penalize it by much, though, since they never advertised such a feature. Keyword Revealer is a reliable tool that veered away from any advanced feature that could only overcomplicate keyword research. It’s a no-nonsense tool backed by the potential to generate unlimited keyword suggestions. Done picking the next keyword research tool you’ll use? I hope you enjoyed this exhaustive comparison of my top 10 keyword research tools of all time. Based on what you’ve learned, what keyword research tool will you choose? I know each blogger has their own preferences and needs. That’s why I’m asking you to share your thoughts in the comments below — foster our community of aspiring Master Bloggers with me! Hi Ankit. Nice list of keyword research tools. Actually I am confused about which one is best? SEMrush or Google keyword planner? Anjali, I think you should start with the Keyword Planner from Google. As a free option it is one of the best. SEMRush is great but you need to pay for it to be really effective. After GKP (Google Keyword Planner) I would also take a look at the other, more unknown suggestions Ankit talked about like KWFinder or Keyword Eye – they are quite good and will sometimes reveal keywords you wouldn’t find otherwise (for free). I suggest you for use semrush. Becouse, this tool provide actual monthly search volume, keyword deficulty, trends etc. monthly keyword search volume is very important for website rank. so i request to use semrush keyword research tool. This is an awesome post on KW research tools. Semrush is little bit costly for new bloggers. I tried LongTailPro Premium but it is one of the slowest tool for KW research. In my personal experience I dont recommend anyone LongTailPro. Thanks for sharing this info. Hi, Great article! the tools you listed in this article are great. I tried only Keyword planner and at present I’m using a long tail pro for Keyword search but I didn’t try the other tools you said. Because I’m new to this and now only I’m learning one by one. At this time, I thought this guide will help me to know more about keyword search tools. It’s wonder and thank you so much for this nice guide. Great post. Yes, keyword research is a prime chapter of seo book.But newbie bloggers failed to recognize that. Really appreciate the way you explained the facts and it will clear the doubts of many inborn bloggers mindset for sure. You had listed so many supreme tools for finding the best keyword’s which is remarkable for everyone. But i think Market Samurai is missing in this list. Market Samurai is a excellent tool for discovering sharp results on any niche. One again thanks for sharing this with us. Keep writing. first of all thanku so much for this post. I am just a starter right now and i needed someone to guide me and your are the person who’s posts have guided me a lot everytime. his was much needed Post information needed and thanku for providing this! Hi ankit, Great Detailed keyword tools review. can you please give suggestion for how to draft a blog post. Great post. I personally use Long Tail Pro and Keyword Canine. LTP is a bit slow but Keyword Canine is much faster as it’s web based. Though SEMrush is good for spying on your competitor’s keywords. Google Keyword planner works best for me, better then most services. Other then this SEmrush and Long Tail pro are another good options, you can give a try.. I tried other free keyword researcher but found Google Keyword planner is best. It is true that I never used premium keyword tools. by the way your post is full basket of information, as usual. Those were awesome list of keyword planner, Specially Semrush, I am using since long time. But google planner is also good one if it comes to free. This is an awesome post on keyword research. In the list all the keyword research tools occurs. The post contains the full knowledge of keyword research tools. Loved your list Ankit, this id the first post where I saw really good tools like KWfinder, even big bloggers haven’t mentioned it. BTW I also checked out Jaaxy, it is new to me but it’s also good. Thanks for sharing. It’s Seems To Me God Gave You Awesome Writing Skills! Thanks Alot Dear For Guiding Us With These Tools. This is a great post on comparing ! Online tools for Keyword Research ! I have used Google Keyword planner, Long Tail Pro and SEMRush. But the best one is Long tail pro ! Recently i have started a new Hindi blog and Longtail Pro is very much helpful in finding all type of unique keywords, but Google Keyword Planner pretty much complicated then these 2 ! Thanks for the really helpful list of keyword tools, I am looking for some more long tail keywords to use for future blog posts so I am sure I’ll be using one or more of these tools you suggest. Excellent List of Tools Ankit! Google Keyword Planner is the best free tool for keyword research. I am personally use and recommend SEMRUSH also because you can find your competitors weak points using this. Thank you Ankit for this great list of tools. I used ubersuggest and then use adword key word planner to get an idea of search voloume. But with the new website of ubersuggest.org it is very difficult to copy all the keyword. Is there any other website like ubser suggest? Really super article. Your writing skill is awesome. Thanks for gave full detail about keywords research. After read this brilliant article, my all doubt cleared of keywords research. Happy blogging journey. Hi, Ankit, Nice and very informative article. I am currently using Google keyword Planner and SEMRUSH. All I can say that Both are one of my favorite keyword research tools and I highly like them. But I am totally unaware of most the tools mentioned here in this article. I will definitely try them out. The problem with modern SEO tools is that they don’t always get frequent updates and when your monthly keyword research get stuck because of this, you feel despair. Moz tools are my favorite and I’ve been using SERPStat for the last 3 months. Can you make and in-depth rreview of how often most popular keyword research tools get their, say, Google databases updates? Really nice article Ankit !! I am new blogger who is passionate about writing on technology, marketing and tourism. I have been using Google Keyword Planner but have tried some the tools you have mentioned here. So far i was only using google keyword planner and some time i used to stuck whil searching some keywords, before reading this article i never heared about theses others keyword planner tools. Now i am gonna try some of them. Thanks for the needed information. Thanks Ankit! Your content is absolutely awesome. I found lot of benefitial tool for keyword researching. They are quite amazing. Among which i prefer SEMrush as my favorite tool of all and i recommend beginners to use them and get benefits. Now i am going to buy one tool for keyword research. How is semrush ? Nice article.I am looking to start a blog,but there is no one who can help me ,i searched many website how to start a blog to earn money,but every website didn’t fulfill my question but you did it .Thanks for your precious post. Among all free and premium keyword research tools, I find Google Keyword Planner best. I know that paid tools are more advanced but beginners like me have no money to spend in first time. So, my choice is Keyword Planner. Thanks to Google for giving this tool for free. And Ankit sir, thanks for sharing. Well, I m Personally using Keyword Revealer and its works great for me. Great sharing. Keywords research is crucial for every blogger. Without doing keywords research you will not rank your article in Google. There are a lot of keywords research tools. I personally one of the best and free Google keyword planner. Semrush is also one of my favourite keyword research tools. It has 30 days free trial. Thank you for sharing this informative and important article. Excellent collection of tools, But I think Google keyword planner is not free, if we have an active campaign account then only we can use Google keyword planner. Even though Google provides it, it won’t give us unique keywords. All the keywords tools have become paid; I think SEMrush will be worth for our money. Which is your best Ankit? Hey Ankit great post, what do you think about moz keyword research tool?.And is Keyword Eye doesn’t seems to be a free tool.I personally use Keyword planner and keyword.io. And Thank you for the post. As we all know that in SEO the very first thing before creating content is to find some best keywords which help out to rank our content in Search engines easily. So, for this purpose, one can use these tools to find some magical phrases. You have shared some excellent tools with use hope it help out bloggers a lot. What about ahrefs. is it good for find competitors Backlinks and keywords? Thanks for this detailed article on keyword research tools. I’ve used Long Tail Pro which is good but quite slow. Recently I’m using Toolfeast Autosuggest which is free & good for finding Long Tail and LSI Keywords. Once again thanks for providing such awesome content. I have used almost all the tools except long tail pro. Thanks for letting me know and I’m going to use it now on. SEMrush works best for me especially for analyzing competitors keywords. But I also use Webconfs.com tool sometimes for keyword research. Ahrerfs is good tool for keyword research and backlink report. I never use Semrush. Will try. Thanks for your awesome article sharing to us. Keyword research is one of the main parts of SEO and Search Engine Ranking. I always like to use Google Keyword Planner and SEMrus for a great result. Another ahrefs is good for backlinks checker. OF course, Google Keywords tool is the best but for checking out the traffic stats only & not for the Keywords finding. It can work a little but SemRush is the best Tool I ever experienced with. I’m new in blogging field. I can ask you that there is any website who provides all keyword imfomation absolutely free? Great collection of kw research tools. I prefer Google Keyword Planner and Ubersuggest for my personal blog. For limited period SEMRush is also helpful to find competitors keywords list. Couldn’t agree more, Anup. All tools are extremely useful and it all depends on users’ need what exactly they want. I’m only using 4-5 tools out of 11. Best free Keyword planner for me is keywordtool.io, Keyword Planner, and Ubbersuggest but for link building and analyzing backlinks I use Ahref. Rest of the tool I would try soon! I am using Ahrefs tool from last 1 year and I am happy with this tool. No doubt, Ahrefs is a handy tool for bloggers and marketers. I used to work on Youtube and blog at the same time. But when Neil Patel removed keywords research option for Youtube from Ubersuggest. I was shocked. Currently, I am working on the education board result and using free tools because I am new and have not enough money to consume paid tools. But your article taught me about more free keywords research tools. I will try them all. Thanks.